BHEL Trichy Recruitment 2019: Bharat Heavy Electricals Limited, Trichy invites online application from eligible candidates. It is going to fill up 400 vacancies at Trichy. Recently it has released the recruitment advertisement for Trade Apprentice posts. Applicants who are seeking central government jobs in Tamilnadu can use this BHEL apprentice 2019 Trichy job opportunity. 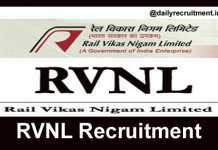 As per the BHEL Trichy recruitment 2019 notification, these vacancies are allocated for Apprentice posts. Interested candidates can apply to this recruitment through online by using BHEL Trichy login from 16.03.2019 to 30.03.2019. BHEL Trichy apprentices 2019 application form and notification is available in official website. Candidates must have completed 8th/ 10th/ ITI in relevant trade from any recognized board or institute. Applicants should have minimum 18 years and maximum 27 years old. BHEL Trichy will select the candidates on the basis of merit list. After that selected applicants will undergo 12 to 15 months apprenticeship training at BHEL Trichy, Tamilnadu. Eligible aspirants have to register themselves in RDAT portal and mention their registration number in the application. Publication of shortlisted candidates list will be released on 03.04.2019. 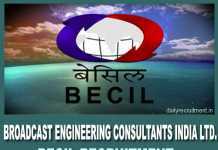 More details of BHEL apprentice 2019 result, upcoming notifications, selection list, merit list and etc. will be uploaded on official BHEL Trichy website. Bharat Heavy Electricals Limited shortly BHEL is a public sector company owned by government of India. The main role of the company is manufacturing electrical equipment. It has been functioning since 1964. Headquarter has been located in New Delhi until now. It has several branches in all over India and also extended its services to worldwide. They manufactures products such as Gas and Steam Turbines, Boilers, Electric Motors, Generators, Heat Ex changers, Pumps, Switch gears, Sensors, Automation and Control Systems, Power electronics, Transmission systems and etc. 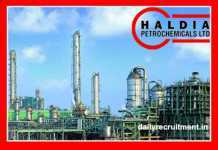 You may visit BHEL Trichy website to get more details about this recruitment. Here you will get information like educational qualification, age limit, application mode and how to apply. Keep check our website www.dailyrecruitment.in regularly to get latest updates. As per the notification BHEL allocates overall 400 vacancies for this recruitment. Trade wise and posts wise vacancy details are given below. Candidates must have completed 8th/ 10th/ ITI in relevant trade from any recognized board or institute. Check official notification to get detailed information about age limit and relaxation. Find the advertisement for Trade Apprentice posts, click on the advertisement. To apply login to your account then enter your details correctly. BHEL Trichy Recruitment 2019: Bharat Heavy Electricals Limited is going to fill up 71 vacancies at Tiruchirappalli location. It invites online application from qualified aspirants. Recently it has released the recruitment advertisement for Artisan posts and trade wise vacancy details are given below. Candidates who are looking for central govt jobs in Tamilnadu can use this BHEL Trichy opportunity. Interested contenders can apply to this recruitment through online. 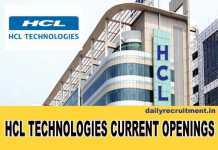 BHEL Trichy recruitment 2019 application form and notification is available in BHEL careers. The last date for submission of online application is 03.01.2019. This engagement is purely based on fixed tenure basis. BHEL will select the aspirants on the basis of written test/ skill test. BHEL Trichy will conduct the written test on 17.02.2019. After that selected candidates will be appointed at BHEL Trichy, Tamilnadu. Applicants must have passed Matric/ SSLC plus National Trade Certificate (NTC) plus National Apprentice-ship Certificate (NAC) in the respective trade from recognized board or institute. Candidate upper age limit should be 32 years. Contenders should pay the requisite fee amount and make the payment via either online or offline. 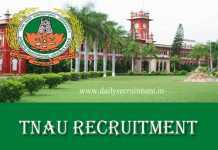 More details of BHEL Trichy jobs, upcoming vacancies, latest notifications, admit card, merit list, result, selection list and etc. will be uploaded on BHEL careers. You may visit BHEL careers Website to get more details about this recruitment. Here you will get information like educational qualification, age limit, application mode, fee and how to apply. Keep check www.dailyrecruitment.in regularly to get latest updates. BHEL allocates overall 71 vacancies for Artisan post. Discipline wise vacancy details are given below. Matric/ SSLC plus National Trade Certificate (NTC) plus National Apprentice-ship Certificate (NAC) in the respective trade from recognized board or institute. Candidate upper age limit should be 32 years as on 01.11.2018. Applicants should pay the required fee through either online or offline (Check notification for payment mode). Click “BHEL Careers” find the advertisement “Recruitment of Artisans on Fixed Tenure Basis for HPBP, Trichy”. To apply click “Application” enter your details correctly and make the payment through online. I was completed Ece at 2017. Have any job vacancy in bhel trichy for me?? I was completed Bcom @ SASTRA UNIVERSITY in Kumbakonam. I have system knowledge in computer and i have completed in typewriting( English ) , and Tally ERP9 . do you have any vacancy please let me know now i looking for job. kindly request me.